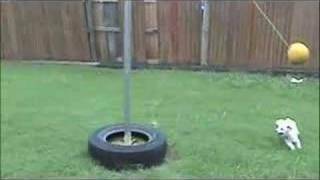 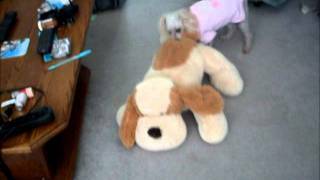 this is our funny little poodle playing tetherball. 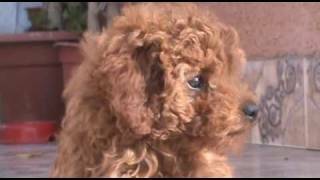 Our Toy Poodle Nelson howling and wagging his tail ~ Please visit our blog http://www.rockyandnelson.com. 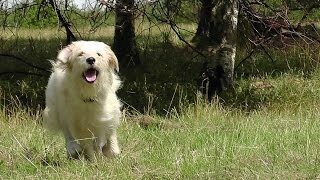 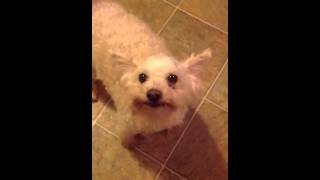 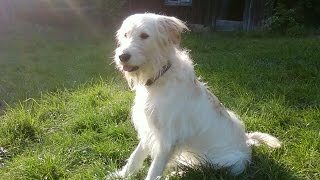 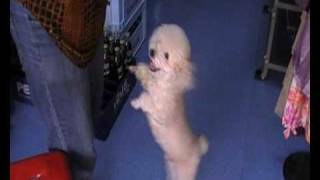 This funny poodle clip was recorded by JVC GZ-MS100 camcorder. 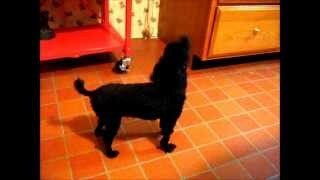 My sweet poodle loves to go "bye bye" , but cant stand the thought of a bath.. Haha.